The dough requires longer time (and lower temperature) in fermentation actually giving me more flexibility. Days ahead I already did one dough (enough for half of the people), then freeze it. This bread should have high moisture (good for baking ahead and reheating), so I suggest focaccia or my "friday rolls". The day before the "big" day, I defrozed the dough and baked the bread. After they completely cooled off, sealed them well and kept at fridge. The night before the "big" morning, I did another dough but it was no-knead bread. I have to free myself more time for more important work instead of spending time on kneading. The dough was rest in fridge overnigh. 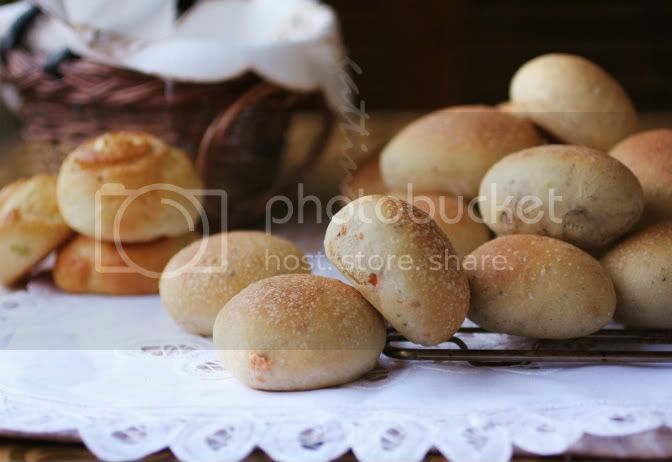 One the "big" day's morning, I baked the no-knead bread, reheated the rolls, (took photos :):) and packed. One key, made all the bread into tiny rolls. 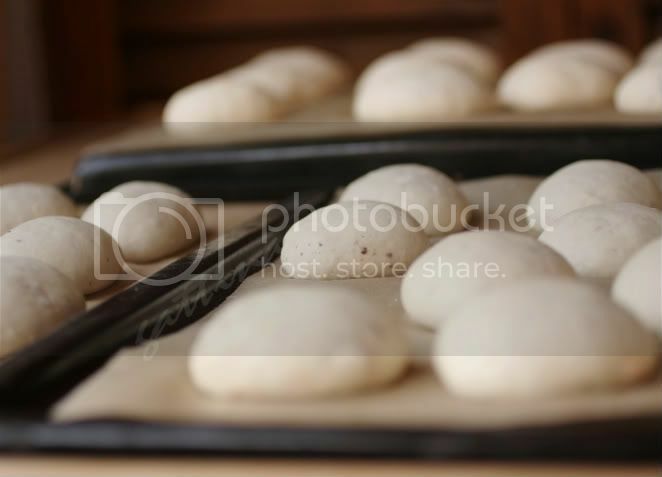 For home oven, always bake one tray at a time, but the rolls are so small so take less than 10 minutes, therefore the next tray can go in quick. I have made mediterrean rolls (with different flavors) and Hongkong green onion-n-ham rolls. You guess which the people like the best? I am into bread making lately too. Love to try yours soon. That is a lot of bread!! To bake so much bread for so many people....that is such a big feat. I admire your courage in trying that out. Not only did you make so many, the bread also looks beautiful still. Big quantity and good quality. :D Will you be sharing the recipe? so much breads and they look awesome. Really beautiful and great pictures! are those friday rolls from your recipe list? thanks for everyone sweet comment! You guys mean a lot to me! 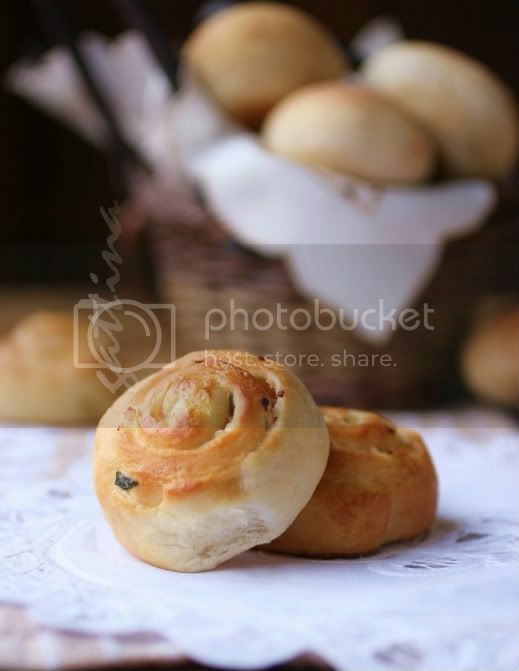 Hi Esther, Ellie and lena, the "friday rolls" and "no-knead" bread recipes can be found on the side bar. Happy baking!